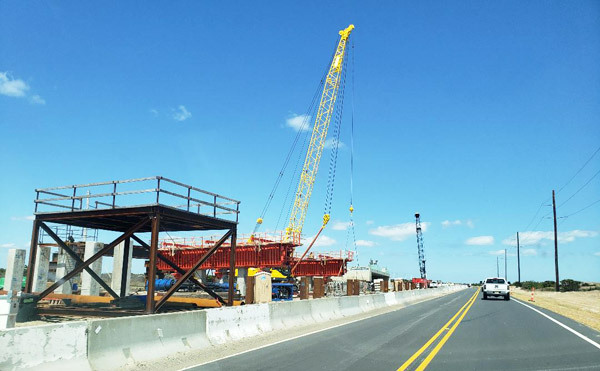 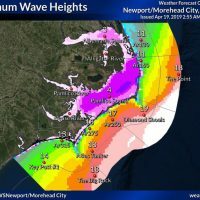 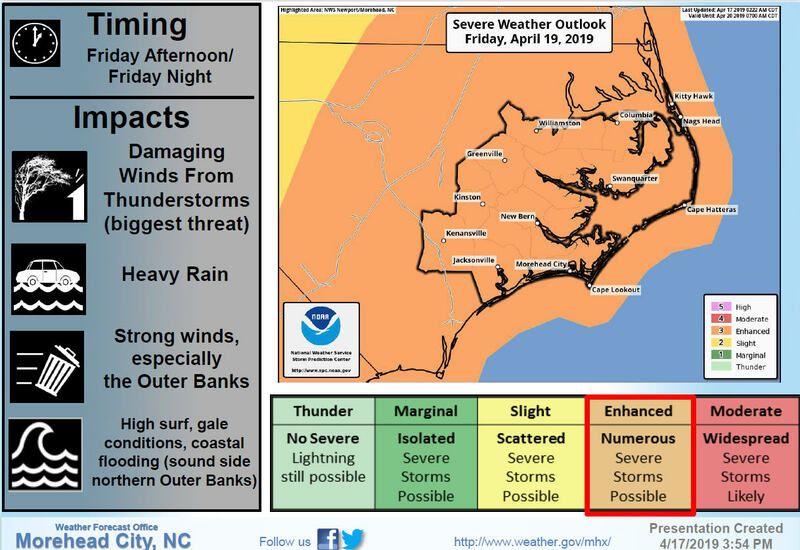 Confidence is increasing that a coastal storm forecast for Hatteras and Ocracoke islands beginning late Tuesday afternoon will bring strong winds, high surf, and minor coastal flooding, per a Tuesday morning update from the National Weather Service Newport / Morehead City office. 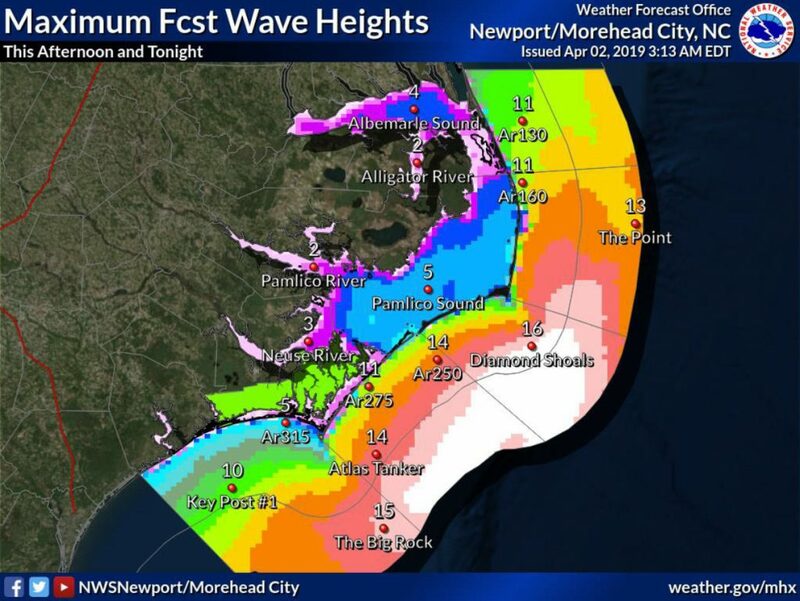 A coastal low off the Southeast coast will rapidly deepen as it moves along the N.C. coastal waters late Tuesday into early Wednesday morning. 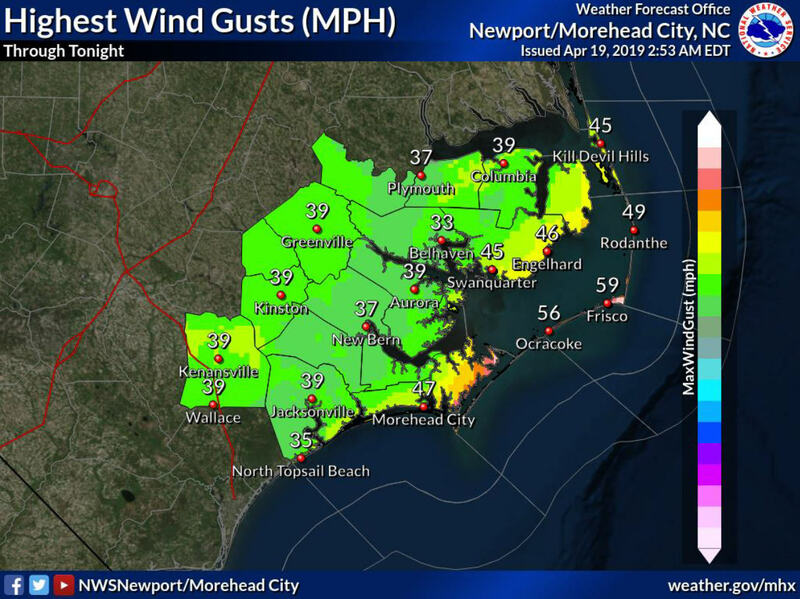 This system will produce strong winds for Hatteras and Ocracoke islands, with maximum wind gusts of up to 60 mph, as well as high seas with wave heights up to 16 feet offshore. 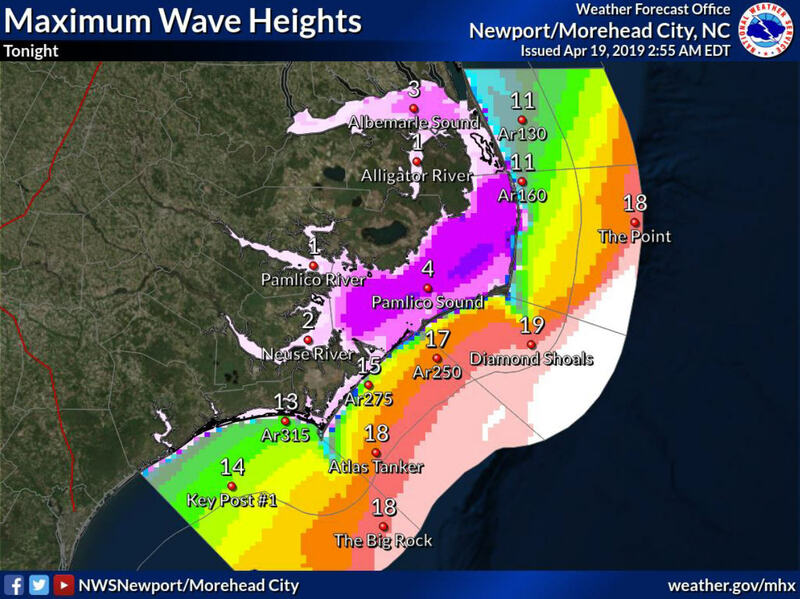 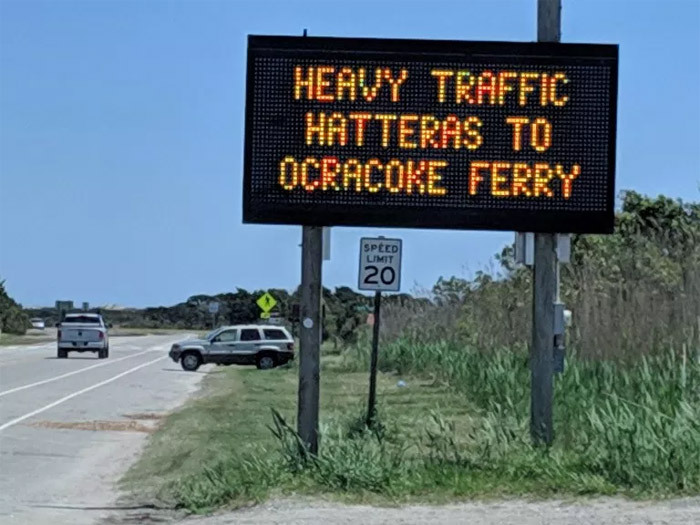 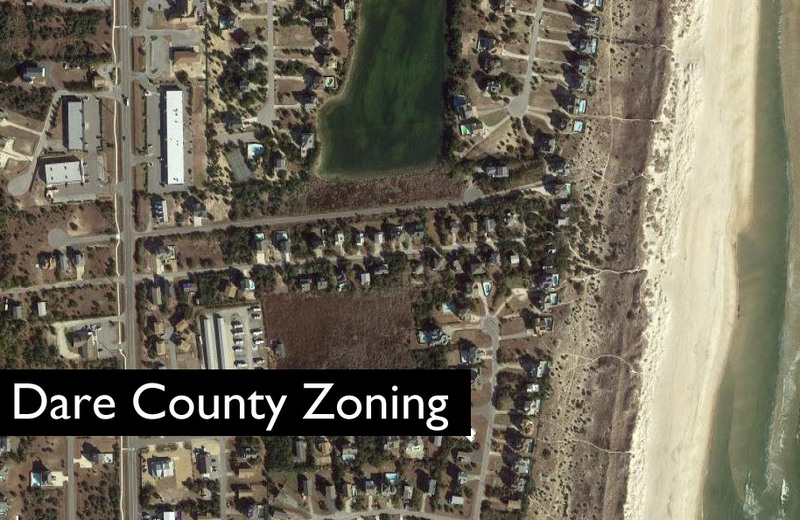 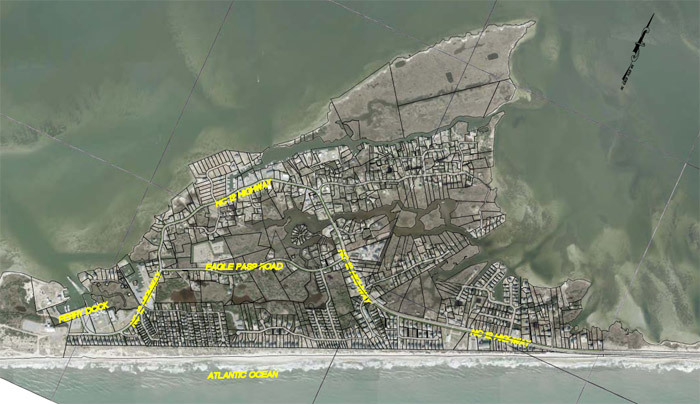 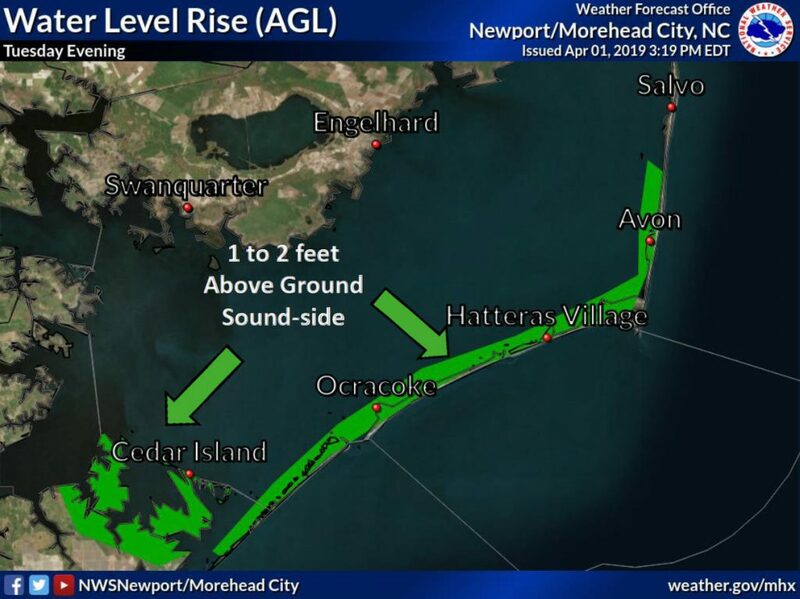 Possible coastal flooding 1 to 2 feet above ground is also expected for the soundside Outer Banks, including Ocracoke Island and Hatteras Island from the town of Avon south, from Tuesday night into early Wednesday morning. 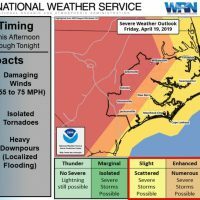 More than 2 inches of total rainfall is also forecast through Wednesday morning. 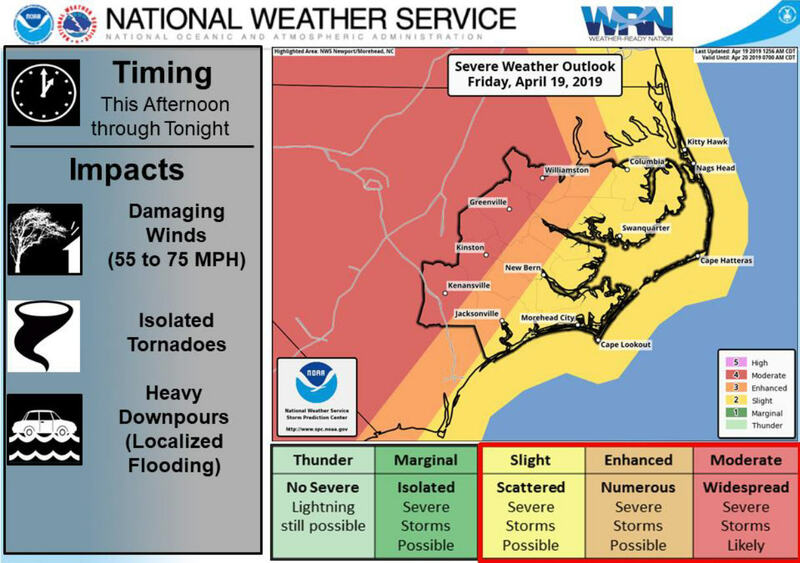 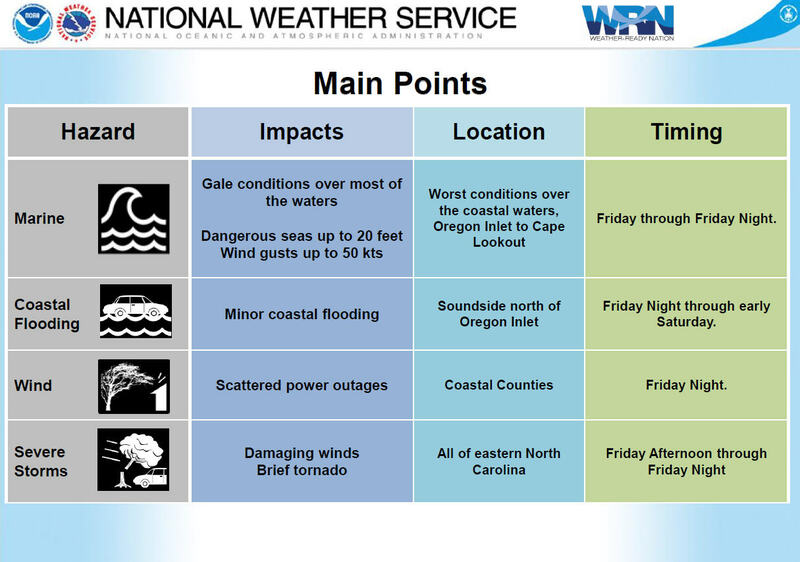 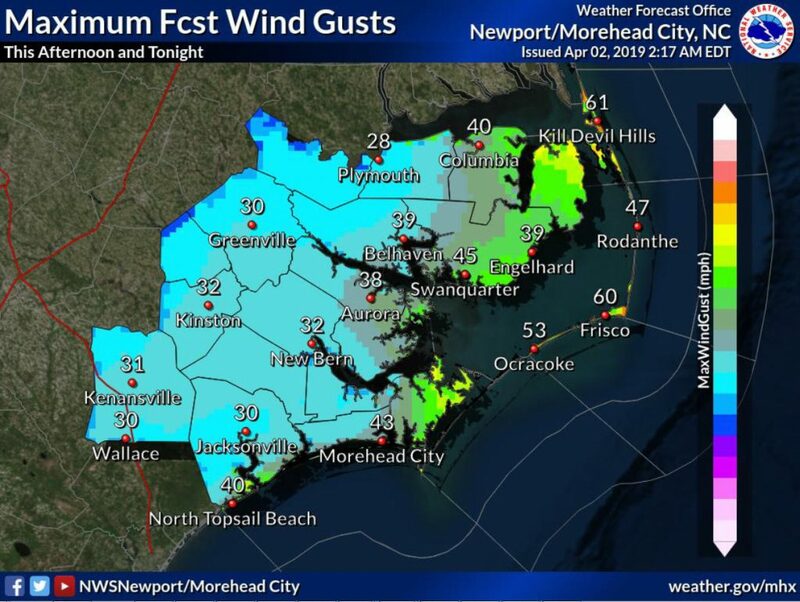 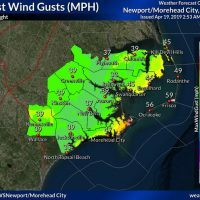 Gale watches have been upgraded to storm warnings for the coastal waters from Oregon Inlet to Cape Lookout, and high wind warnings have also been issued for the Outer Banks.